The 1930s through the 1950s can perhaps claim the title "Golden Age of Paper Dolls," as their popularity during those years has never been equaled. During the Great Depression, paper toys could be afforded by all. 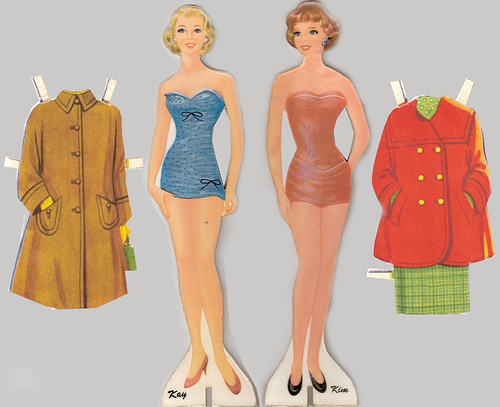 Despite the product shortages of World War II, paper dolls were still manufactured, though on lesser-quality papers. Parents of the 1950s revered the image of little girls lovingly playing with paper dolls, just as their mothers and grandmothers had before them. I submitted this at my sister's request...she doesn't have a computer but loves browsing the emuseum whenever she visits.